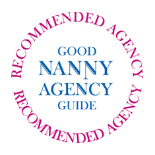 We are a boutique Childcare Agency specialising in placing Temporary Nannies. We're a family-run agency (run by mother and daughter team), and we've been placing Temporary Live-In and Live-out Nannies for over 8 years. We cover the whole of the UK and overseas. We have a large number of fully-vetted Temporary Nannies registered with us, all of whom we have personally interviewed. They range from Mothers Helps to Qualified/Experienced Nannies and Maternity Nurses. All have relevant experience, and many have additional skills (eg Dance and Drama expertise, Additional needs training, Teaching, Sports Coaches and Children's entertainment). Our procedures are hassle-free for you, and our fees are simple and realistic. No job is 'too short' -we have no minimum booking fee. We go the extra mile to help you with an Agreement with your Nanny, by providing you with a template Temporary Nanny Contract for you to adapt to your own requirements. Temporary and Permanent Mothers Helps, Maternity Nurses, Teacher Nannies, Proxy parents, Live-In Nannies, Live-Out Nannies, Part-Time Nannies, Hotel Nannies and Travelling Nannies. For Permanent Nannies please call for details.